We’re here to take the guess work out of solar energy! If any of your questions aren’t answered here, reach out! Solar energy in Nova Scotia? Isn’t it too cloudy? Nova Scotia has a lot going for it – not just spectacular ocean views, friendly people and donairs. We’ve also have great solar availability! The average irradiance in Nova Scotia is 1,100 kWh/kW annually. That means that a 10 kW solar energy system is going to produce approximately 11,000 kWh of energy. This is just an average; some systems will be better, others will be worse, depending on lots of factors. OK, but isn’t it too cold? Won’t that hurt the solar modules? Another misconception is that hotter weather is better when it comes to solar. This is a myth! As the temperature increases, the production of a solar panel actually decreases! Light is good, but heat is bad. For example, a 300w panel is going to produce 300w of energy at full sun (1,000 w/m2) at 25 degrees C. As the temperature rises–which happens on a roof, especially a black asphalt shingled one–the output of that panel is going to decrease. Our relatively temperate climate is a big benefit here! What about snow? Will I have to shovel my solar modules? Luckily, your panels will have some sort of slope. In NS, the steeper the better (between 30 – 50 degrees is ideal). The panels will shed snow naturally so you don’t have to get up there. It is never recommended to go up on a snow-covered roof; leave that to us, if need-be. Also, the majority of your production will not be happening in the winter so a bit of snow coverage is not going to affect your production much. Our proposal takes snow coverage into account based on the slope of your roof and average snowfall for your area! Will installing a system on my roof cause it to leak? Luckily for all of us, we use top-of-the-line racking systems to account for this! Any roof penetrations are going to fall under a large aluminum flashing piece that will keep any water from ever finding its way in. We also have a lot of experience with this, coming from the world of renovations, instead of electrical contracting; we’re very comfortable with roofing and structure. You can sleep soundly knowing that we’ve treated your home like it is our own! Is my system under warranty? Yes! We offer an industry-leading 3-year warranty on all work. All of our equipment also has excellent warranties. The modules from  Canadian Solar  have a 25-year warranty – not just to work, but to work well! And, our  Solar Edge  inverters have a 25-year warranty. Why install a solar energy system now? Isn’t this technology just getting better and cheaper? Why not wait? There are a lot of reasons to act now. One of them is definitely the limited-time  Solar Homes  rebate from  Efficiency NS. They only anticipate that the funding will last to cover 2000 homes, and we can tell you – the demand is booming! Also, experts predict that there will continue to be innovations in the solar industry, but the price is relatively stable. The demand for panels over the last decade has caused for mass-marketing of modules in industrially efficient countries like China. The price is not going to drop much more than it already has, and we can guarantee that power rates are going up! Will I have power when the grid is down (power outages)? The usual grid-tied, net metered system will not provide power to your home when the grid is down. This is for a variety of reasons, most notably the safety of the crews working to repair the grid outage. If you want to protect you and your family by backing up your most important loads, let’s talk about a grid-tied with battery backup system. Find out more in our “Services” page! 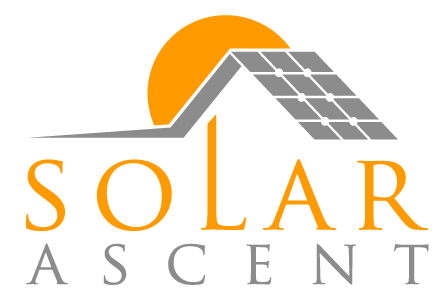 Do you do solar thermal (solar hot water) systems? No, we don’t. Solar thermal applications in Nova Scotia have done a lot of good to save people money on hot water. With the efficiency and affordability of solar electric these days however, we believe that the best use of your available roof space is for solar electric (photovoltaic) modules. You can produce that energy to use for whatever you want!